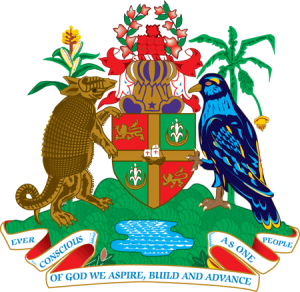 As of Monday 18 March 2013, the Grenada Government only has to announce one more senator to the Upper House of Parliament, because two of the last three have been announced. Mr. Simon Stiel has been sworn in as the Parliamentary Secretary in the Ministry of Agriculture, while Mr. Jester Emmons is the Parliamentary Secretary in the Ministry of Carriacou and Petite Martinique Affairs. Senior Advisor to the Prime Minister for Communications, Public Relations, Information and Media Relations Hamlet Mark announced at the first official press briefing that the seventh Senator has been identified but his name would be released later this week when the Office of the Governor-General is officially informed. The Upper House of Parliament comprises of 13 persons, 7 of which represent the interest of the Prime Minister, 3 appointed by the Leader of the Opposition, and 3 representing sectoral interest. As a result of not having an elected Opposition it is expected that Governor-General Sir Carlyle Glean will appoint three persons. The other Government Senators are: Kenny Lalsingh, Winston Garraway, Sheldon Scott, and Brenda Hood. The sectoral independent Senators are: Keith Clouden who will be representing the farming community; Christopher DeAllie who will be representing the Business Community; and Raymond Roberts who will be representing the Trade Union Movement. The Ceremonial Opening of Parliament will be on Wednesday 27 March 2013 at the Grenada Trade Centre. The highlight of the opening is the Throne Speech which will be delivered by Head of State Sir Carlyle Glean, in which he will outline the plans and activities to be undertaken by Government. The ceremonial opening will be pave the way for the presentation of the 2013 budget which is expected to be delivered by the middle of April.